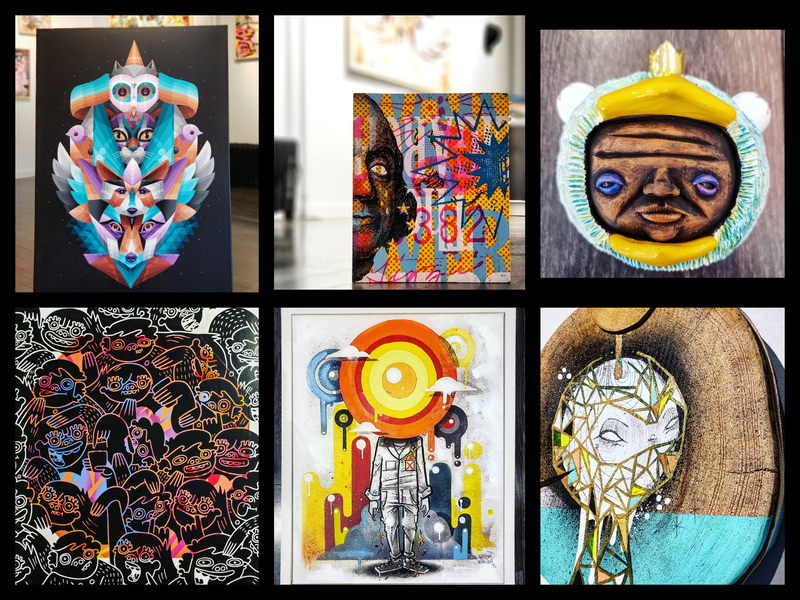 The gallery showcases local/street/graffiti/urban artists from the Chicago area, creating a funky, colorful, and eclectic atmosphere with ever changing decor. 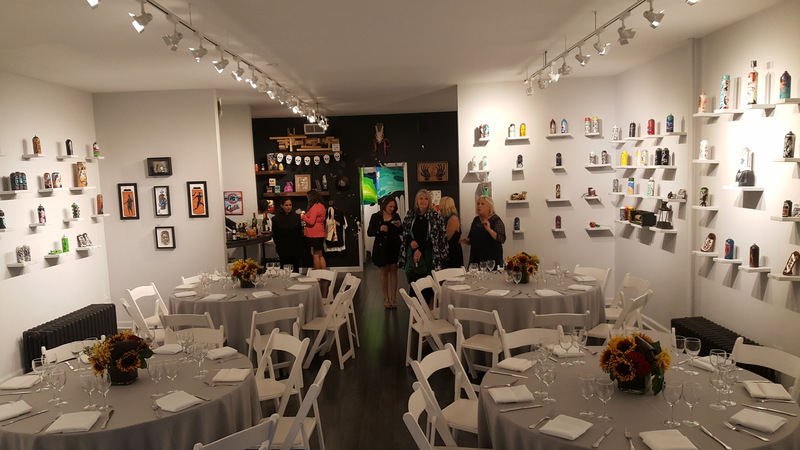 Our murals provide exciting and unique backgrounds for event pictures and add to the exciting nature of the space. Additional features of the venue are wifi access, air conditioning, and the option to use a 100″ projection screen. Street parking is plentiful in the area. 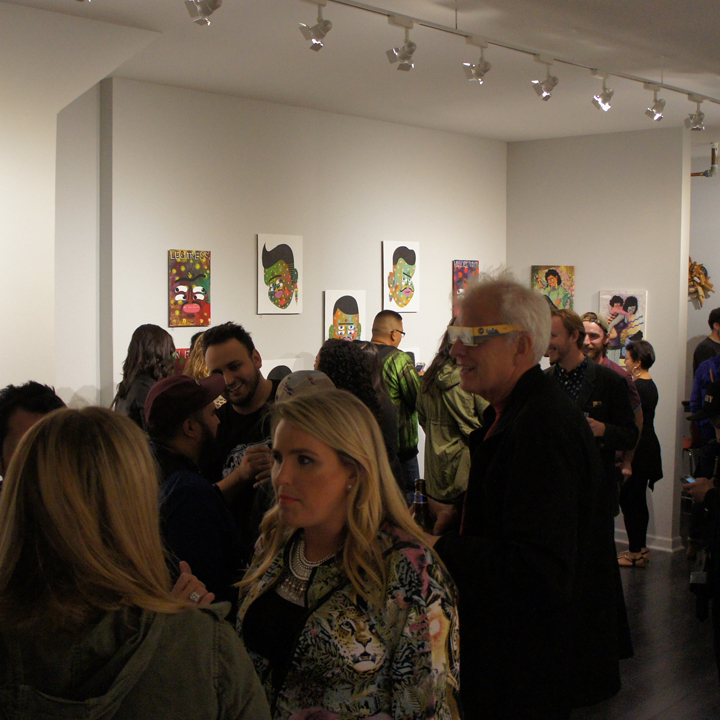 The space is ideal for private parties, fundraisers, and film screenings. If you are looking for a non traditional venue with a lot of personality, this is the spot for you! *All major credit cards accepted. No Checks, Please. Note: if you would like to rent our space during business hours there is an extra $100 add on. We have a two hour rental minimum & require a deposit of $75 to hold your booking. This fee will be deducted from your total. The deposit is non-refundable and due at the time of booking. Your reservation will be held once the deposit has been paid. Additionally- we work closely with a catering company who can accommodate any and all of your needs from bar tenders to food service to table and chair rentals (as pictured below).